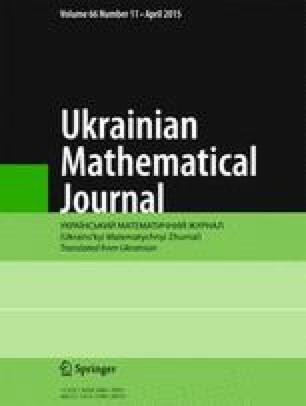 Translated from Ukrains’kyi Matematychnyi Zhurnal, Vol. 66, No. 11, pp. 1485–1497, November, 2014.